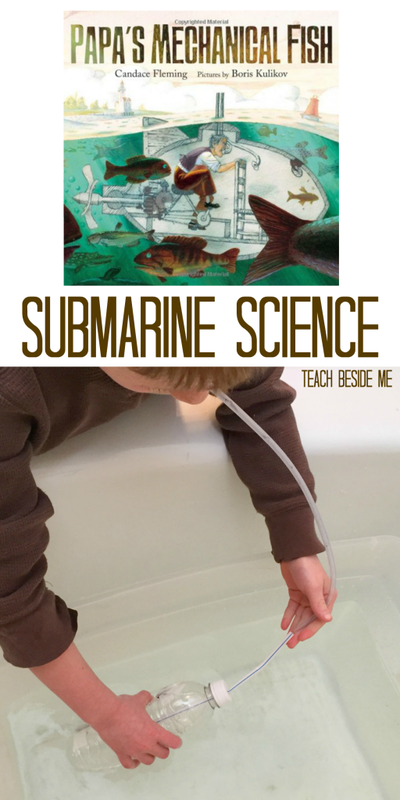 Submarines are so cool to learn about! 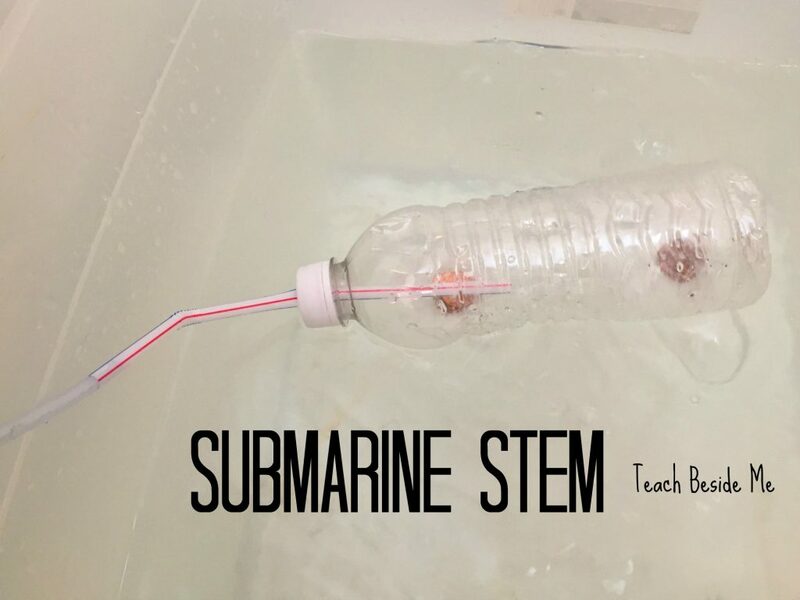 Inspired by the book Papa’s Mechanical Fish by Candace Fleming, we did some submarine science and engineered our own mini submarine. Have you ever read Papa’s Mechanical Fish with your kids? 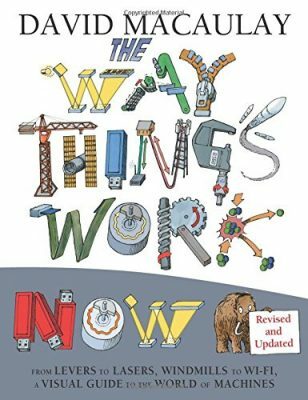 It is a darling book about experimenting and trying again when you fail. We adore it! It is loosely based on a true story about a man who builds a submarine that sunk to the bottom of Lake Michigan. We also made our own periscope. 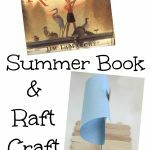 This is an awesome storybook STEM project. 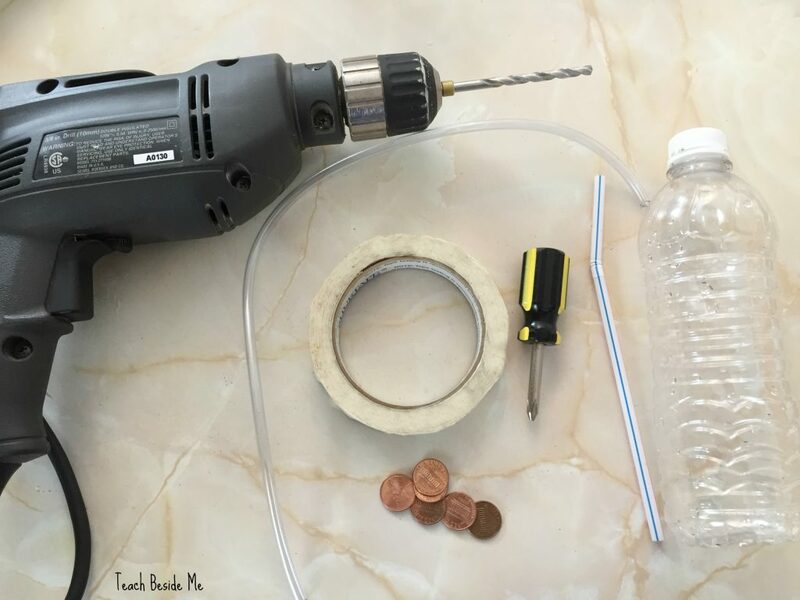 You will need a few simple supplies to build the submarine: a water bottle, a bendy straw, thin plastic tubing (or a few more straws), pennies, tape (like duct tape), a drill (or sharp object), a tub of water. 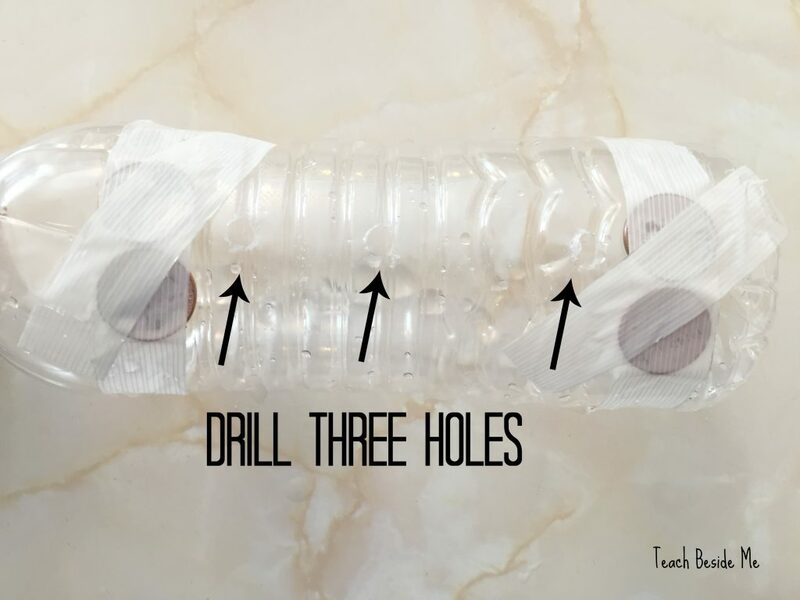 Empty the water bottle and poke a hole in the lid of the bottle. It needs to be large enough for a straw to fit through but to eat tightly. Poke three holes in a row in the bottle. 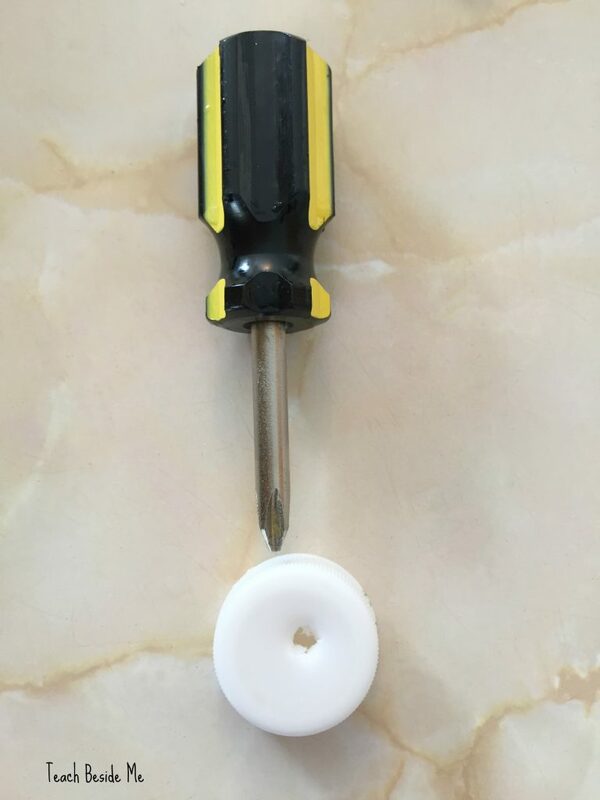 I used a drill for this since the bottle kept collapsing any other way. On either end of the holes, tape 3 pennies. 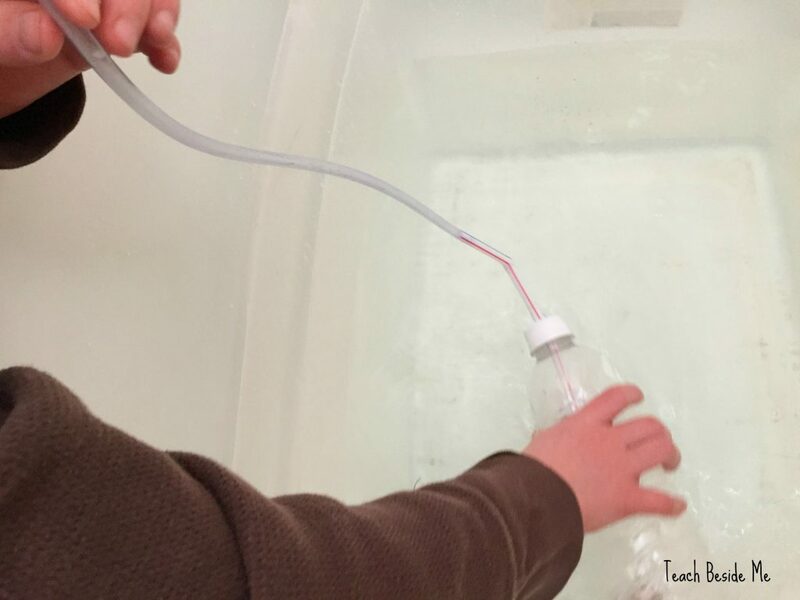 Stick the straw through the bottle and the tubing into the straw. Place the submarine into the tub of water with the penny/hole side down. Hold it under the water to fill the bottle with water. You want it to sink to the bottom, keeping the straw above water. Once it has sunken, blow into the straw and watch the sub rise back to the top! 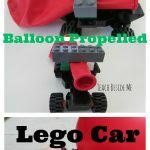 This is a great STEM activity as it includes science and engineering. We read in our book The Way Things Work by David Macaulay about submarines and learned about the ballast tanks. To lower in the water, they open and fill with water making the submarine heavier. To rise, they empty the water and fill with compressed air making the sub lighter and it rises to the top. 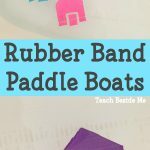 Watch my kids playing with their submarine. 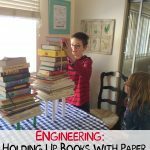 Engineering: Make Paper Hold Up Books! This is such a great project! I’ve heard of the book but we haven’t read it yet. I’ll add it to our list. Thanks!